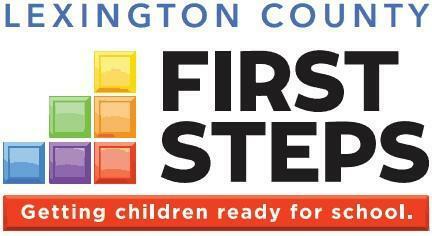 The Family Learning Center of Lexington School District Three partners with Lexington County First Steps to equip adult clients with the knowledge and skills necessary to promote the school readiness, healthy development and long-term success of their preschool aged children. The program is staffed by nationally certified Parents as Teachers Parent Educators who serve families with children prenatal through kindergarten entry. In 2017, The Family Learning Center completed the Parents as Teachers Quality Endorsement and Improvement Process and earned the highest designation - a Blue Ribbon Affiliate status. 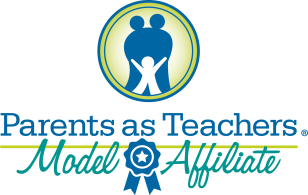 Being named a Blue Ribbon Affiliate affirms that the Family Learning Center is among the highest quality members of the home visitation and parent education field, implementing the evidence-based Parents as Teachers model with fidelity and quality. The mission of Lexington School District Three's Family Learning Center is to support families in the district so that all children enter school ready to learn. Personal Visits - Certified Parent Educators help assist and support families as their child/children learn, grow, and develop during the most important years. Group Connections - Events provided to empower families to build social connections with each other and to provide knowledge that will support their child/children's development. Resource Network - Parent Educators connect families to resources that help them reach their goals and address their needs. Child Screening - Developmental and health screenings are conducted to ensure each child will learn, grow, and develop to their full potential. Family literacy is a term used to describe parents and children learning together. Family literacy is also referred to as intergenerational literacy. The concept underlying the model is that parents and/or guardians are their children's first teachers, the home is the first school and that learning happens from birth and is a lifelong process. Adult Education - Classes that lead to economic self-sufficiency and meets the adult's stated goals. Parent Education - Education of parent and/or guardian in facilitating children's learning and becoming full partners in their education. Early Care and Education - Childcare provided for children of adult ed students with age-appropriate education to prepare children for success in school and life experiences. Interactive Literacy Activities - Weekly activities between the parent/guardian and child/children.